In her newest book, bestselling author and founder of Simplified® Emily Ley brings a revolutionary exploration of how to live a life of more in a world that often overwhelms to the point of burnout. Emily empathizes with readers in the throes of exhaustion and provides tools for nourishing their spirits and achieving a life where less becomes more. Statistics don’t lie. People today are more fatigued, burned out, and overwhelmed than ever. Smartphones constantly ping and alert and demand our attention. And social media can eat up hours of our days with mindless scrolling and tapping while leaving many feeling empty and lonely. Add to that family commitments, work that is accessible around the clock, and overscheduling, and you have a life that can feel unmanageable and frantic . . . even running on empty. Emily Ley, author of bestselling Grace, Not Perfection and A Simplified Life, is here to tell you that there’s more—so much more. In this book, Emily Ley takes readers on a journey out of that empty place and shows them how to fill their wells with the nourishment that only true connection can provide. She also presents some radical concepts that push against the tethers of modern life, with the promise that more of the good stuff comes when we say yes to less of what keeps us empty: Less rush, more rhythm Less great, more good Less fake, more real Less noise, more singing Less outside world, more inside family Less correction, more conversation Less talking at, more dreaming with Less stuff, more treasures Less chasing, more cherishing Less activities, more traditions Getting to more might require some outside-the-box changes, some unraveling of the patterns readers have adopted, some reworking of the day-to-day so that they can build a life based on their core values instead of slipping into a life dictated by society or what’s “normal.” Because we weren't made for normal. We were made for more—for a life of fullness, dreaming, and lasting joy. 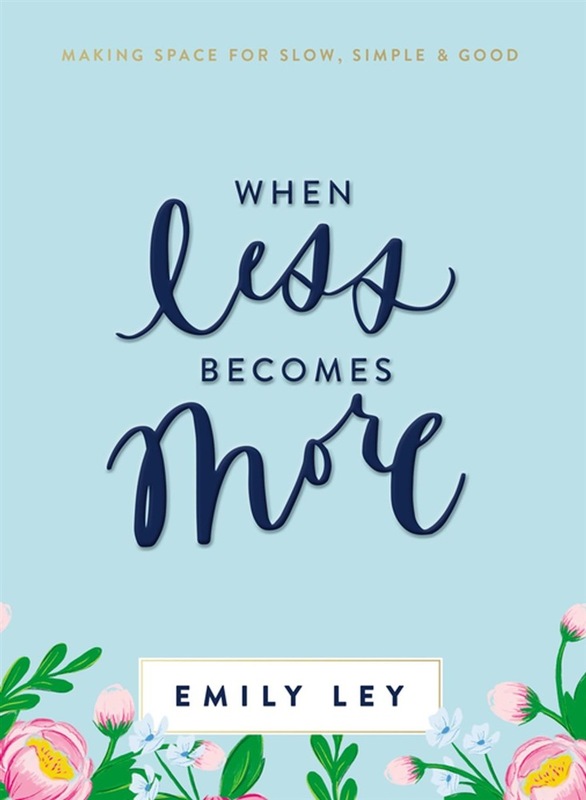 Acquista When Less Becomes More in Epub: dopo aver letto l’ebook When Less Becomes More di Emily Ley ti invitiamo a lasciarci una Recensione qui sotto: sarà utile agli utenti che non abbiano ancora letto questo libro e che vogliano avere delle opinioni altrui. L’opinione su di un libro è molto soggettiva e per questo leggere eventuali recensioni negative non ci dovrà frenare dall’acquisto, anzi dovrà spingerci ad acquistare il libro in fretta per poter dire la nostra ed eventualmente smentire quanto commentato da altri, contribuendo ad arricchire più possibile i commenti e dare sempre più spunti di confronto al pubblico online.